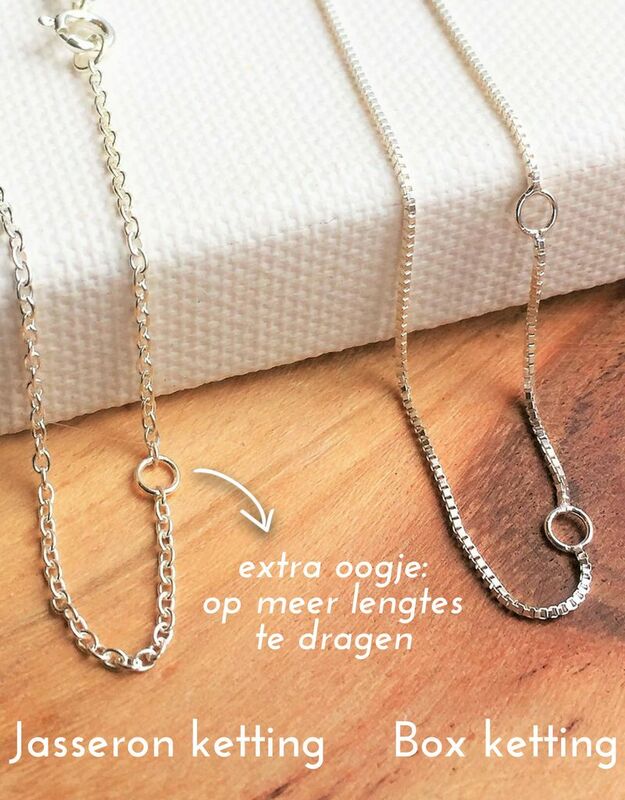 Heel blij met de ketting. Niet duur en hij ziet er prachtig uit, nog mooier dan verwacht! Brilliant chain having thereon a graveerbedel glossy and beautiful pearl freshwater. Hand we engrave a letter or shorter name. By-and-by .925 silver, forever beautiful. ♥ Opal is a quartz that exhibits a beautiful iridescence with a mysterious glow. This is called iridescence opalescence. With saying that Opal is a protective and activating stone: it is cheerful, optimistic, spontaneous, original, creative and stimulates an interest in art and appreciation of beautiful things. The stone also has a strong connection with love and passion. ♥ The hand engraved in our workshop with an engraver. ♥ We engrave the traditional way by hand in our workshop. This is done with an engraving. which we can write by high pressure. Thus the engraving is not "mechanically straight 'but literally' hand written 'by Tanja. ♥ The disc is approximately 16mm in diameter and we have room for up to engrave two lines. 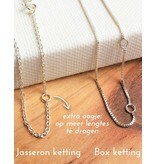 ♥ Choice of two sizes of chains. Beautiful ring made of .925 sterling silver. 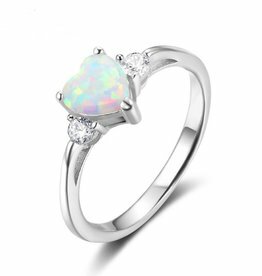 The ring has an opal stone in heart shape, and two small diamonds finishing the ring completely. The ring is beautiful in its simplicity, but also endlessly combined with other jewelry! Beautiful ring made of .925 sterling silver. 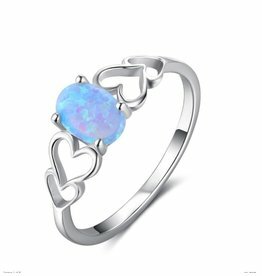 The ring has three opal stones in heart shape, and features small diamonds that complete the ring. The ring is beautiful in its simplicity, but also endlessly combined with other jewelry!